Requirement was to create an online employee onboarding and induction training for new hires using blended learning approach. The content we received was a 100-slide presentation. The challenge was to have the learners to first go through the content which was more relevant to their job role. And later present the content that was optional or not directly related to the job role of the new hires. In short, a branching approach was required. After analyzing the corporate training needs, we chunked the text-heavy PowerPoint training content to short easy-to-digest bite-sized learning nuggets. We wanted it to be a visually-rich, interactive eLearning course with minimal click-through buttons so that the learners can absorb and retain information easily. The software we used here was Lectora and we did custom coding to meet the client’s custom requirement. Despite text-heavy content, we could create an interactive eLearning course with desired learning outcomes. 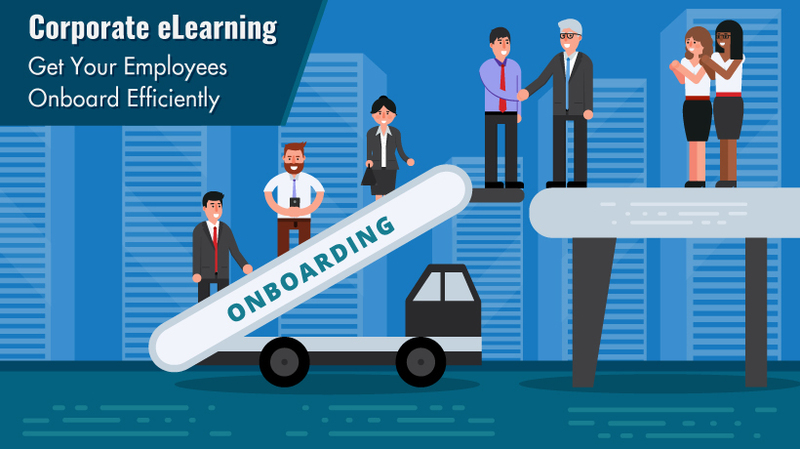 This improved the new hire engagement while making whole onboarding and employee induction process quick and efficient. Get in touch with Swift to discuss how we can help you reap the benefits online training while onboarding your new staff. Here’s a snippet of interactive organizational structure which is tweaked a bit to maintain client’s confidentiality. How to Set Your Published Slide Course Resolution in Articulate Storyline? eLearning: How to Create Custom Review Feedback in Articulate Storyline 2? How Preloader in HTML5 Creates a Better eLearning Experience?